A. Two colleges; one has retention rate 90% of the other. After 4 years, the graduation rate of the lower-retention college will be 66% of the other. 66% looks much worse than 90%. Recurrent episodes or even creative habits of refractive practice provide opportunities to “not simply continue along previous lines.” PBL is useful to the extent that continuing along previous lines keeps us on paths that, in the end, we are not happy with, or that we would have preferred to have diverged from. 2. 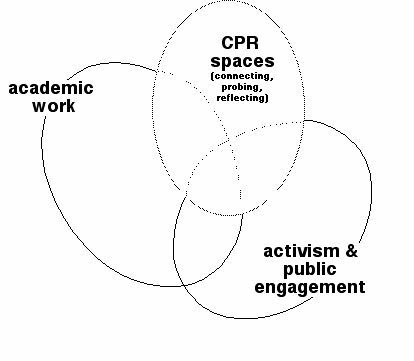 PBL courses are a form of “CPR space,” where CPR stands for connecting, probing, and reflecting, which “while keeping in view the realms of critical academic work and participation in social movements, is separate from them” (http://wp.me/p1gwfa-uB). This is useful for the same reasons as in #1. 3. The tools and processes used in refractive practice and creating CPR spaces provide models for adoption and adaption into other areas of work and life. 4. The experience of participation and collaboration in PBL courses “buoys participants’ enthusiasm, hope, resolve, and courage for creating change and making transitions in situations that may–at least at first–feel far from the spirit of the [course]” (http://wp.me/p1gwfa-uB). A few years ago an experienced facilitator admonished me not to think too much about how to support the translation into everyday work and life of tools and processes introduced in a workshop setting. The advice was to the effect that tools and processes are taken up only if they are introduced in actual work settings. the default situation [becomes] one in which people are entangled, but open to change through new encounters. Efforts to innovate outside those contexts can be seen as stepping away from entanglements. 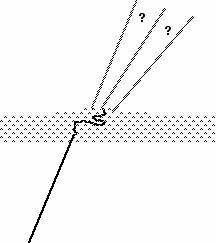 What do people (such as myself) lose by positioning themselves in that way?